Heat closed contact grill 5 minutes. 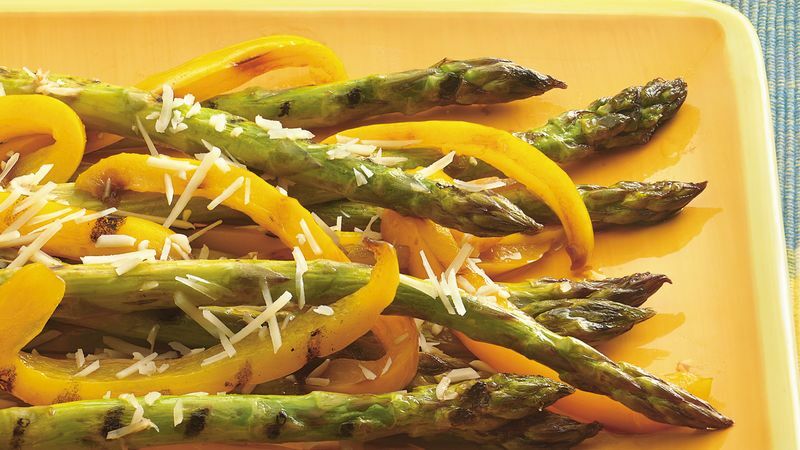 In a large resealable food-storage plastic bag, mix asparagus, bell pepper and vinaigrette dressing to coat well. When grill is heated, place half of vegetables crosswise on bottom grill surface. Close grill; cook 4 to 6 minutes or until vegetables are crisp-tender. Place vegetables in serving bowl. Repeat with remaining vegetables. Sprinkle with cheese. Italian dressing is a tasty stand-in for the balsamic vinaigrette.